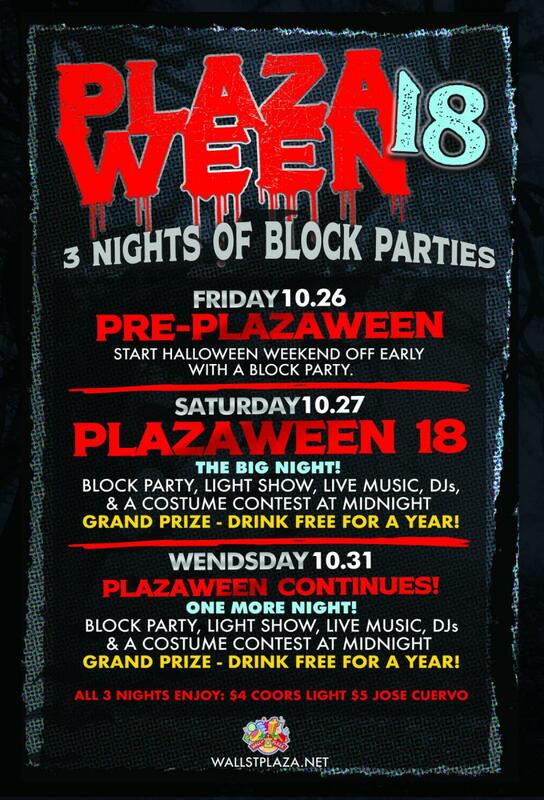 Plazaween has arrived and it’s time to party! Put on your best costumes and get on stage for the costume contest where the winner takes home FREE DRINKS FOR A YEAR on Wall Street! Get here early to register and the contest starts at 12midnight. Live music from The Adam’s Family Band, DJ Draven and Korndogg.